PSN goes down; Is Anonymous to blame? 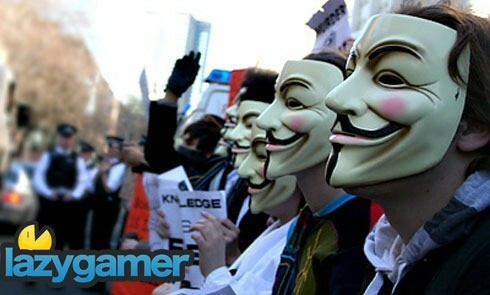 We told you yesterday of the internet hive-mind blanket group Anonymous’ plans to take down Sony, retribution they say for the company’s part in bringing down the law on PlayStation 3 hackers Geohot and Graf_Chokolo. Last night, the PlayStation 3’s online portal, PSN, and a host of other PlayStation related websites went down, or were brought to a crawling speeds. Are they related? “PSN currently undergoing sporadic maintenance. Access to the PSN may be interrupted throughout the day. We apologize for any inconvenience,” says the official PSN twitter account. Sporadic maintenance? Sounds like â€œplugging up holes in our firewallâ€ to me. At least one Youtube video and a host of IRC channels are claiming responsibility, chalking up a small win for Anonymous. Given the modus operandi of the internet’s childish hackers though, this is probably only the beginning. What annoys me about this is they claim to be doing this sort of black-hattery in the interests of consumer freedom. Way to go, taking away my freedom to connect to PSN, you knobs. A new, more sinister group at least, seems prepared to take things further, by attacking specific targets, like the judge presiding over the Geohot case. That’s smart, because there’ll be no legal repercussions over that. Craigslist – Make a ad in the â€œfree stuffâ€ section, or in â€œerotic servicesâ€ and â€œcasual encountersâ€ as is evident here there are many horny men who will relentlessly pursue someone who they believe to be 19/f. STD Postcards – send one of these e-postcards notifying the target that one of their previous sexual partners has a STD. Makes for an uncomfortable wait for them. Alternatively call an AIDS hotline and ask them to anonymously tell the target they could have HIV, thats a 6 month wait until the test comes back. Free UPS Boxes create an account and order the target a couple of hundred boxes & labels, fedex also offer free boxes. Google Maps use Google maps to locate local businesses to mess with the target. IP Relay – Ask the operator not to announce at the start of the call. This is a service only available to people in the USA. I’m really wondering what the benefit to all this is? I’m a consumer, and you’re certainly not making my life any better. What’s the point? To gain attention for your â€œcause?â€ all you’re doing is bringing attention to the fact that you’re a childish, whiny bunch of douchebags.